Back in January 1980, when the Hunt brothers pushed up the price of silver to $50, many politically well-connected Wall Street firms were facing massive losses. Suddenly, the COMEX changed the rules for trading specifically to punish the Hunts and help these Wall Street firms recoup some of their losses. Among the most outrageous rule changes was a prohibition against new purchases of long silver contracts on the COMEX. Parties who already owned long silver contracts were restricted to only one option—to sell it to a party holding a short position. Prices quickly collapsed. When the December 2010 and March 2011 COMEX silver contracts matured, the available COMEX registered inventories were hopelessly inadequate to meet delivery commitments. So, as COMEX rules permit, unusually large numbers of these contracts were settled for cash. There were multiple reports of March contracts being settled for cash at prices more than 30% above the spot price. As I wrote in CoinUpdate.com last week, there is also a developing shortage of available physical silver outside of the COMEX. The condition has only worsened in the days since. On Friday last week, another squeeze was developing with the maturing May silver contracts. Gold looked poised to jump to $1,600 and silver to surpass $50. Neither made it. In fact, silver has dropped nearly 30% from its peak in April and gold is down about 6%. It looked to me that the Wall Street firms that have huge short positions in gold and silver were on the brink of default on these contracts, if not outright bankruptcy. So, it is not a total surprise to me that there have been numerous rule changes in the past two weeks by the COMEX and some trading houses to force down the silver price (in particular) and gold. Many people make investments borrowing money to leverage their results. As prices rise, it is sensible for the exchanges to raise margin requirements. However, the COMEX has now raised margin requirements for silver contracts five times over a two week period! Before these hikes, the minimum margin per contract was $8,700. On May 9, when the fifth increase takes effect, it will take more than $21,000 minimum per contract! Note that the last four margin requirement hikes occurred after the price of silver was falling—which does not make sense unless the real purpose is to suppress prices! Some Wall Street firms have raised the margin requirements for their own customers to as high as $30,000 (see my May 3 column at Numismaster.com for details). The net effect of these rule changes is that it has left many leveraged investors unable to meet these margin calls. As a result, a significant number of long contracts have been liquidated this week without regard to the price. In addition, the mainstream media has given more coverage to the silver market this week than it seems like they have given it over the past few years. Virtually all of this coverage is along the lines that there are major sellers out there, everyone is taking profits, the “bubble prices” of gold and silver have peaked, and the like. Each of these themes is filled with incomplete or inaccurate information. If you refer only to these stories, you will run a high risk of making an incorrect decision about whether to buy, hold, or sell gold and silver. For instance, one of the stories is that Carlos Slim, the current richest man in the world, has presold more future gold and silver production from the mines that he owns. I have not seen one story reminding people that Slim’s companies last October reported that they had pre-sold 27% of anticipated gold production through the end of 2013 at an average price of $1,189 per ounce and 43% of expected silver production through the end of 2013 at an average price of $18.71 per ounce. Although Slim is apparently savvy enough to own such mining interests, he is obviously getting bad advice or making poor decisions on how to maximize his profits in these markets. Much has been made of George Soros reporting that he has sold a significant chunk of his gold holdings, while little has been reported that John Paulson’s much larger holdings are being held until gold reaches $4,000 per ounce. Among my own customers, there are those who have sold seven figures worth of paper silver contracts above $49 per ounce on the anticipation that they would be able to replace them with physical silver at lower prices. These customers of ours expect gold and silver prices to be much higher than they reached in April. They were not getting out of the market, they were just trying to maximize profits. As for the claims that the “bubble” has burst, the quantity of open COMEX contracts in the gold and silver markets proves that to be false. When a bubble market starts to tumble, the quantity of open contracts drops sharply. The number of COMEX gold and silver contracts has only dipped slightly. As prices started to fall, some unleveraged owners also opted to take some profits and reduce their holdings or get out of the gold and silver markets. Because of the heightened volatility, other potential buyers have chosen to do nothing for the time being. Although these actions helped push prices down further, the main force behind falling prices was the COMEX and Wall Street firms’ increases in margin requirements. As you might imagine, I have been deluged with visitors, callers, and emails this week asking me what is happening and what will happen in the future. I do not know where the current bottom will be for silver, but I do expect it to reach bottom soon. One theory is that the silver market has touched bottoms in recent years when the amount of leverage in commodity contracts is only 7 or 8 to 1. If this holds, that would point to $34 as being the bottom for silver. Another theory is that the bottom will be reached when silver gets down to its 200-day moving average. Right now, that points to a bottom of about $28.00. I don’t think it is a matter of if, but when silver will recover. When it does, it will recover quickly, though maybe not as fast as it has declined this week. It is obvious that the US government, its trading partners, and allies have decided to try to cap the price at $50. I have little doubt that this will eventually be surmounted—almost certainly this year. Above all, remember that the fundamental reasons for owning gold and silver for protection against calamities affecting the value of paper assets such as currencies, stocks and bonds have not changed at all as a result of this week’s decline in prices. The US government is still running such huge budget deficits that it now has to borrow 43 cents of every dollar it is spending! During all of this turmoil, the value of the US dollar has continued to decline almost every day except today! US Treasury debt is so unpopular among foreign and domestic investors at current low interest rates that the Federal Reserve is now purchasing 85% of all long-term issues! State and local governments (including public school districts) have not really done anything to cope with the more than $1 trillion in unfunded retirement liabilities. I have not seen the prices of any food products or gasoline drop by 30% this week! In fact, worldwide food costs are rising at a faster pace this year than ever before! The US government is faced with an impossible resolution of its inflation of the money supply (also called Quantitative Easing 2) program that ends June 30. The government has to make a decision which of two methods it will choose to further destroy the value of the US dollar—either by stopping quantitative easing or by continuing with a new program. The jobs market continues to be horrible. As I understand it, the US needs to create 115,000 new jobs every month so that the rising population’s unemployment rate will be unchanged. Even if the Bureau of Labor Statistics reports a higher number of jobs, you have to back out this figure and also the number of double-counted new jobs attributable to the birth/death adjustment. Residential housing prices have now declined lower than the so-called market bottom in March 2009. In the latest report, 34.5% of homes sold were bank-owned properties, a much higher proportion than in the past. Don’t be surprised of home prices continue to fall. If you make your decisions about what to do about gold and silver on the basis of accurate fundamental information rather than misleading and incomplete mainstream media reports, you will obtain better future results. There have been numerous short term price drops over the past decade, none of which lasted. What we are seeing this week, in my judgment, is actually more like a desperate last ditch effort to delay the inevitable explosion in gold and silver prices. The extremity of these recent actions leads me to expect soaring prices sooner rather than later. P.S. One last tip—if you purchase physical metals and don’t leverage your purchases, you won’t find yourself forced out of the market against your will. This is one of the only encouraging articles that I’ve read in the last couple of days. Well said and thought out. Amen. I’m curious as to why PMs are trading up through the night, and then drop during the day. Is this fear to sell mainly coming from weak Americans? Are the Asians buying while we sell? Thoughts?? The precipitous fall of precious metals on May 5 really has to be considered as NOT unexpected. 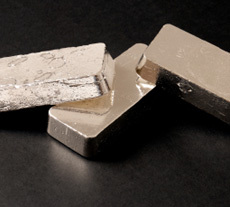 The meteoric rise of silver in 2011 HAD to have a correction to a level to reestablish a healthier market and real underlying demand basis, especially for physical metal. In fact, it is my suspicion that the silver bubble this spring may at least be partially responsible for the high crude oil and gold price as they are inexorably linked together. The dollar will not suddenly and magically come back as “the world’s currency”. Incrementally purchasing PHYSICAL metal, especially in market dips (NOT PAPER PROMISES OF FUTURE DELIVERY) is the best method to preserve assets in my opinion. Patrick, your article is an EXCELLENT observation and synopsis of the PM market. I think the silver bubble was out of control and COMEX must have felt that it needed to be reigned in. It will be interesting to see if their margin hike requirements cool things off for a while. Really? What makes you think the CME won’t continue raising margins all the way up to 100%? What makes you think the central bank won’t flood the market with physical silver, if there’s a price divergence between physical and paper/spot? I’m starting to think that silver is a suckers game, as TPTB can change the rules anytime they want. I fail to see how the $50.00 mark can be breached when the big boys hold all the cards. Mike I can agree to your point about silver being a “sucker’s game”. It is particularly so when safe haven buyers go in as they had in April only to get a shock in May, probably not realizing that silver is and always was subject to volatile price movements. This 1st week of May amply shows this. I also have held the belief that the silver market has been under manipulation of one variety or another. I disagree with your attribution of the margin increases as an attempt to affect prices, they were sensible and overdue. The point of the margin is to cover the cost of changes in a commodity price over the term of the contract. A silver contract is for 5K ozt of silver, thus a change in price of $1/ozt will completely deplete a $5K margin (such as COMEX had in May of 2010). On Jan. 21, when silver was $27.43/ozt, and the margin was $11K, the margin represented 8.1% of the total cost of the contract. On May 3, when silver was $42.59/ozt, and the margin was $16K, the margin represented 7.6% of the cost of the contract. If you believe silver is truly destined for $50/ozt, then a $21.5K margin is 8.6% of the silver contract. These numbers are higher than the 5.5% margin that was in effect this time last year, but in light of the volatility we have been seeing, it is not unreasonable. If the recent market highs were merely a speculative bubble, then I am happy to see it popped. If silver is truly worth $50/ozt, the new margin requirements will have no lasting impact on silver prices. The way I see it is as long as countries like China and India keep on developing there will always be a demand for precious metals last I heard I think that they are still developing rapidly. As of right now I only see the USA driving the price of silver up due to inflation. The way I see it the more Ipods/Ipads, phones, computers, etc… that companies sell to these developing nations the higher the demand for precious metals. Mike, you should ask yourself how did silver get this far, if $50 is insurmountable and the lords make it so ,why not the number 40, 30 …. Very few articles have the complete picture and with so many top pickers it is a crap shoot for who gets it right (guess) then the “lucky one” boast like a childish idiot. They know who they are. Who saw all the margin hikes coming which few if any ever experienced in their trading career then we see charts and points and BS being rolled out to say I told you so, is that childish or what. I think that Patrick is dead on with his list of reasons why gold and silver will keep going. Check out prices right now on Gold and Silver at Monex and Kitco and others…Silver dollars are right up there. The load of debt in the world vs the real value of fiat money has shifted. Debt is king. The euro and the US have lost trillions. There is a gov’t shadow game going on trying to stave off the inevitable. I agree that there had to be a sell off due to the absolute rise of precious metals and the consolidation was necessary. Now the metals will move again until the next consolidation. But I see the trend to be upward. Until debt is paid off and fiat money becomes real again by the backing of a real government that we can trust then I see no change in the pattern ahead. Obama has publicly stated that he was going to go after the speculators on the oil patch because of the cost of gasoline going thru the roof. This recent puncturing of commodity prices by raising margin requirements across the board does not equal the breaking of inflation. Bill Gross @ PIMCO the manager of the largest bond fund in the world is out of US treasuries his (“Should be”) principle stock in trade, because he sees the Bernanke printing presses & the US Congress out of control. While “Puke day” on SLV was on 5/6/2011 it looks like to me from here we are heading higher.. I was surprised but not shocked that silver dropped this week. the only thing that shocked me was how much it fell. hopefully it will start going up again sooner rather than later. Purchase lead,the metal that sticks! JP Morgan and the Bullion Banks are guilty of manipulating Silver(and Gold) to the “Downside!” They are short hundreds of millions of ounces. And to complete their “transactions,” they must Buy them back! Buy PM’s now! It will soon be above $50/oz. And my thanks to Jaime Dimon, of JP Morgan. His manipulation has allowed many people to purchase Silver. One last chance, folks! $33.05 was Silver’s recent low! It may never go below there again! EVER! Ha Ha Ha! I went immediately to “Speak Your Mind” without hardly glancing over the Article! So if I may, I would like to add one further comment. I concur with Nigel, and Gary Cooper! I hope you all lose your back side. You who buy these metals are causing the prices of everything to go up and causing the dollar too fall. If you try too say else why you are delusional. Please quit trying too ruin everyone else lives and our country. As I said before it is all your fault! 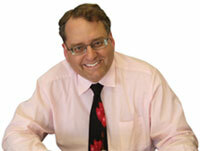 Good job by Patrick Heller for the concise report on the current precious metals volatility. Now do you understand who’s causing the problems? Politicians and their globalist cronies toss the words “Billion” and “Trillion” around like they are no big deal. Until this problem is corrected, you can expect more sensible people around the world to trade and make money with tangible assets.